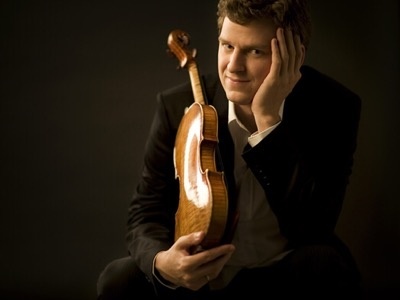 Sunday, October 14, 2018, 2:30 p.m.
One of the most gifted violinists of his generation, Grammy Award-winner James Ehnes finds himself in demand in recital and with major orchestras around the globe. Admired for his remarkable blend of virtuosity and lyricism, Ehnes will share the stage with his duo partner, pianist Andrew Armstrong, in works by four masters. Ehnes will perform using Oberlin's 1722 Stradivarius "ex-Vallot" violin—the first public performance on the newly restored instrument in nearly two decades. Learn more about Ehnes' Oberlin performance here.